Kathie from Homespun Seasonal Living is offering a free class that is starting soon – An Intentional Summer. 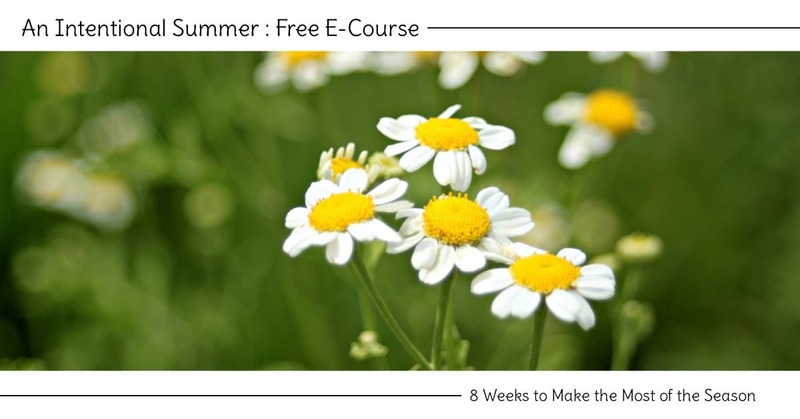 This 8-week e-course is designed to offer recipes, crafts, and other DIY projects that help you to embrace the abundant gifts of the summer season. With a weekly email covering a new topic and providing suggestions for diving into the summertime, this laid-back class will not be overwhelming, just a pleasant guide. Don’t pass up the awesome seasonal planner that is also available from Homespun Seasonal Living!